Nothing to add … Check this! 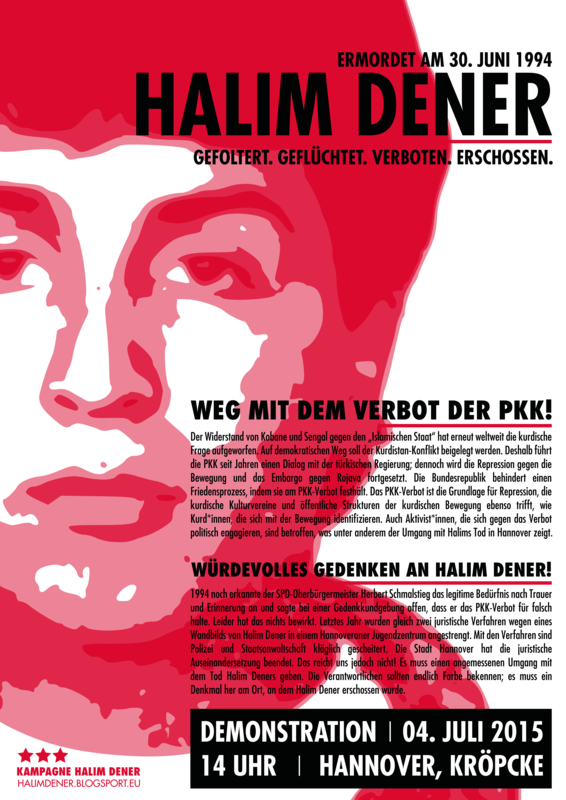 21 years ago the young kurdish activist Halim Dener was shot by a policeman in Hanover for placarding a criminilised symbol of the Kurdish Workers Party (PKK). This saturday a nationwide demonstration will remember his murder, claim the overdue abolition of the ban of the PKK and show solidarity with the ongoing struggle of the liberation movement in Kurdistan which again has to resist hard attacks of the turkish Erdogan government as well as of the fundamentalist „IS“ these days. HALIM DENER – UNFORGOTTEN! 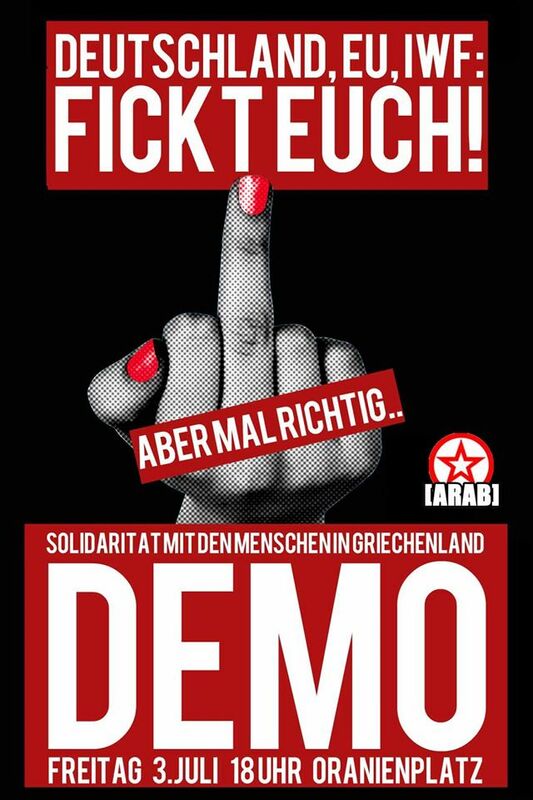 ‪Take #‎ThisIsACoup‬ to the streets!